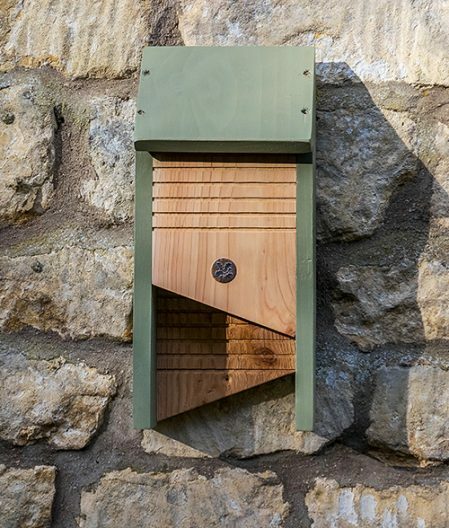 This Stourhead Bat Box is part of the National Trust Wildlife Range and features a tapered landing platform design and a single chamber of FSC certified timber with rough sawn internal landing. 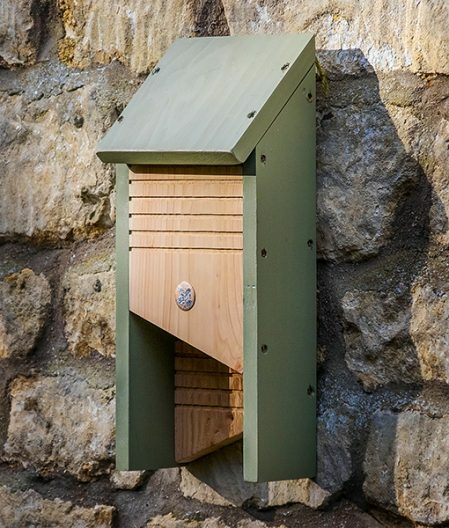 The bat box should be sited 3 – 5 metres high on a tree post or building facing north, south-east or south-west ideally. Bats are a schedule 1 protected species under the Wildlife & Countryside Act sp please note, It is illegal for any member of the public to disturb a roost, handle or kill any bat. 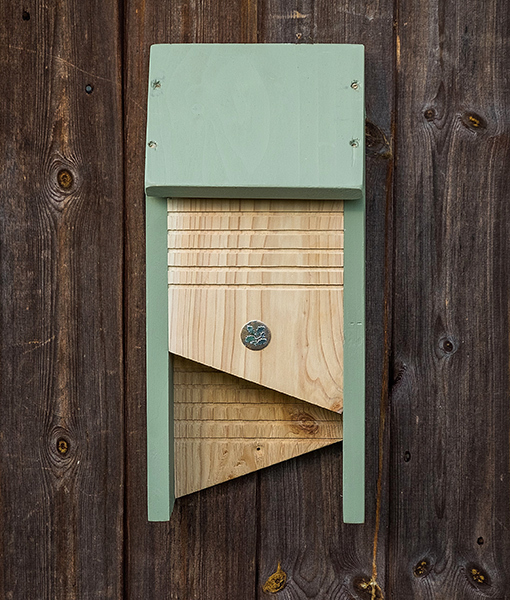 Bat boxes therefore may only be inspected by a licensed bat worker. However, you can monitor your bat box without disturbance, look for mouse-sized droppings beneath the box as a clue to occupation or observe from a distance at dusk to see if bats are exiting the box to hunt. This Stourhead Bat Box is part of our National Trust Wildlife Range and features a tapered landing platform design and a single chamber of FSC certified timber with rough sawn internal landing.